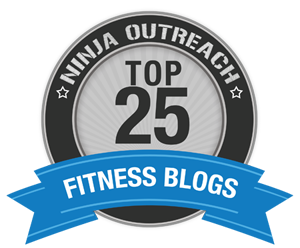 A couple of years ago, I wrote a blog entitled “Runners Beware: 4 Things You Need to Know” while sitting on a plane headed to New York for a GNC event with FitFluential. Later that day I logged on to check my blog and discovered a HUGE spike in views. This obviously was a hot topic! 1. Running Can Make You Skinny Fat. 3. Running Can Make Cellulite More Noticeable. 4. Running Can Hurt Your Body. With that said, I am a runner. I run regularly – but it’s not all I do, and that is the difference. Today, I want to talk about why so many “runners” you see at 5Ks or half marathons seem to still look out of shape or overweight. Sure, there are plenty of fit and trim bodies running, but there is a LOT more to being fit and trim than just lacing up and hitting the pavement. Here’s what I mean. While running is great for getting you healthy, as it improves cardiovascular health and improves mobility, it might not be an answer to weight loss. Sadly, there is often a good reason why people run a lot. They eat a lot. Since many people really enjoy running, or at least it’s not completely unbearable (like doing burpees! ), many people use running for “weight management”. Granted, even though running can definitely help burn excess calories, you really can’t compete with what you eat. In the end, you can end up one very fit, but still overweight, runner. 1. We eat more calories than we think. Most people aren’t tracking calories. People are busy, and tracking calories takes work. Even though there are so many great calorie tracking devices like the LoseIt app, most people are not tracking calories consistently or accurately. To really know how many calories you are eating, you have to weigh and measure food. Sadly, most people rely on their best guesses. Also, many online calorie count databases are filled with bogus data inputed by consumers making the same type of guesses. Lastly, people forget to input foods. Whether they forgot to log the handful of almonds they took from the pantry while cooking dinner, or they didn’t add their condiments, unless you add everything right when you eat it, you will likely forget to add it at all – or add it correctly. —> DID YOU KNOW? Applebees’ Fiesta Lime Chicken has 1310 calories and 77gms of fat. 2. Running makes us think we can afford to eat more. How many times have you heard someone say they are carb-loading for a run? Sometimes I think running is just an excuse to eat. Unfortunately, being a runner myself, it’s easy to think “I ran today so I can afford to eat that”. Do you know how quickly you can erase your run? You literally can swig a coffee and a low-calorie protein bar and you’ve replaced all the calories you just burned off in a matter of minutes. If you are running to get in shape and lose weight, you have to be very careful you do not replace the calories you are burning on your runs. You have to be very protective over your hard work and stick to a caloric budget if you want to get the best results. Sure, you might have been able to run off some of your weight initially if you had a lot to lose, but eventually you will plateau unless you work as hard on your diet as you do on your exercise. —> DID YOU KNOW? The average calories burned for a 150lb person running at 5 miles per hour is 113 calories per mile. 3. We rely on running to erase our mistakes. Honestly, running makes us feel like we work very hard. It gives us a false sense of security – like a weapon we can use for damage control. We get this mentality that if we cheat, we can run it off. The problem is, we often only make a dent in the damage done. If we go out to eat and splurge on a meal, and go for a 5 mile run the next day to make up for it, sometimes that only burns a fraction of the calories we consumed. 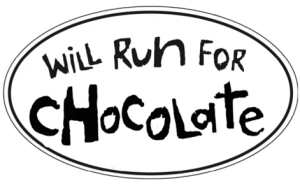 But, in our head, we are making good choices and balancing out our lack of discipline in the kitchen with the disciplined lifestyle of running. Are you guilty of running for food? Maybe today is the day you decide to be as disciplined in the kitchen as you are in your running shoes! Can you relate? Comment your experience below and encourage other readers! 3 Reasons You Can’t Run the Fat Off | The Fat Loss Dr.